A child psychiatrist's blog: critically examining psychiatry, wellness, parenting, modern culture, etc. The flustered mother told me this about how difficult it was to get her school-aged son to do what she wanted: "He's like water. Whatever I try to do, whatever rules I set up, he finds a way around them." I said, "Well, that must be very frustrating." "You're right. Kids are a lot like water. The harder you try to grab them, the more they slip through your fingers. Like water, kids can mirror their surroundings. They are given shape by their environment, while over time they are also shaping the environment. Similar to water, kids can exist in different states. Too much heat or too much cold, and they may become explosive or get more rigid and brittle. Water is very resilient. Most of the time, like water, kids can return to their previous state after a perturbation if the environment allows it. It always takes energy to change the flow, the direction, the trajectory of water. Otherwise it just follows the path of least resistance. Just as you can make water move against gravity through capillary action, giving the right scaffolding for a child can make all the difference. While water running rampant can be destructive, water put to purpose can do immeasurable good. 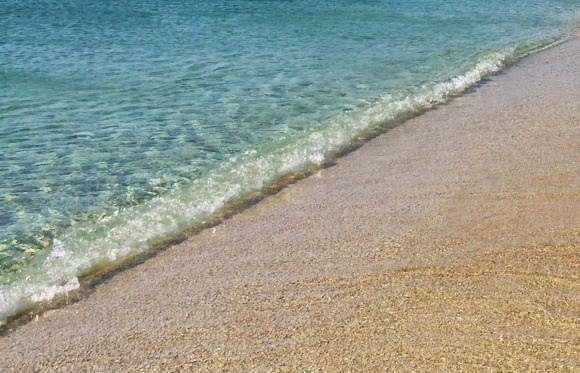 So you're absolutely right: your child is very much like water. Now what shall we do about it?" Spoiler warning: If you haven't seen Wall-E yet, why not? See it first before reading this post if you don't want certain aspects of the plot revealed. Let me tell you why Wall-E is my favorite Pixar move. The title protagonist begins the movie as a humble robot, programmed with a very specific purpose: to pick up garbage, compress it, and stack it in neat, towering piles. In Wall-E's world, man-made trash overwhelmed the earth generations ago, smothering all plant life. The humans escaped in giant spaceships, leaving robots behind to clean up the mess. Over time, all of the other robots broke down, with Wall-E the sole survivor living a repetitive, lonely existence. 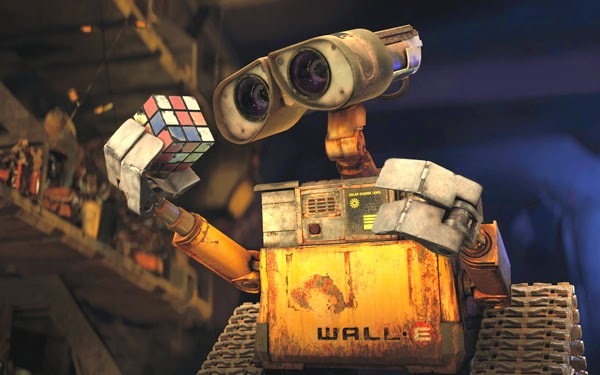 Yet Wall-E somehow transcends his programming and develops a sense of curiosity about the world. What were those humans like? What are these relics that they left behind? What's that green thing growing amongst the trash? After a series of improbable but exciting events, Wall-E finds himself on board one of those giant spaceships. There, he encounters real, live humans and the robots that serve their needs. The people were uniformly plump with adiposity, reclining comfortably on mobility chairs while sipping futuristic Big Gulps™ and fixated on screens. Wall-E was aghast, eventually discovering that the villainous AI of the ship was trying to keep the humans confined to their blissful but vacuous existence. Wall-E finds a way to rally the other robots and spread the news that plant life was growing on earth once again. The movie ends on a hopeful note, with the ship returning home and the humans taking small, earthbound steps that feel like giant leaps. I love that Wall-E acted in humanity's long term interests instead of either rejecting these disappointing humans or attending only to their short term comfort. Recently, I was reminded of Wall-E when I attended a session at AACAP's Annual Meeting in San Diego titled: "The Affordable Care Act [ACA] and How We Think About Systems, Care, Quality, and Ethics." The discussants covered various aspects of the ACA (for an overview of the ACA, see this recent post from Psych Practice). What interested me most was the talk by Dr. Michael Houston on how the ACA relates to child and adolescent psychiatrists. Dr. Houston discussed the ethical underpinnings of the ACA, namely how it seeks to institute a more egalitarian and less libertarian health care system. The law lays the groundwork for transitioning us from a fee-for-service system in which doctors have a financial incentive to do lots of procedures to a system in which both patients and doctors have a responsibility to society to contain costs. Clearly, one of the goals of the ACA is to make doctors provide more efficient care. 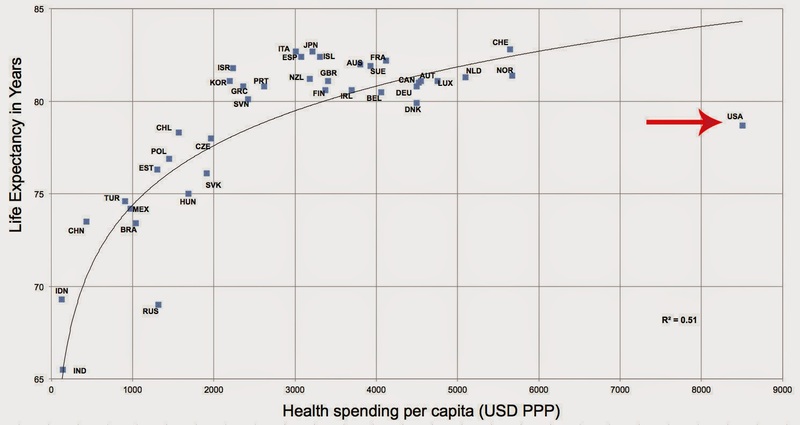 One of the justifications for why we need this is the chart above (from this HuffPo article) showing how, despite spending way more than any other country on health care per capita, the U.S. trails most other developed nations in life expectancy. The logic seems to be that since we're not getting good bang for our buck, the health care delivery system must be streamlined. This focus on efficiency would have an especially high impact on child psychiatrists, given how relatively few of us there are compared to the high numbers of patients. Here's an old article from 2006 about the shortage, and not much has changed since, except that even more children are being diagnosed with conditions like ADHD and taking multiple medications, putting further strains on the health care system. Last year, AACAP published a document describing how the ACA will impact the practice of child and adolescent psychiatry. More mental health care will be delivered by pediatricians and care managers, with psychiatrists overseeing cases but not seeing patients directly unless they were especially complicated. To me, this seems like a herculean effort to create ever more efficient Wall-Es, without trying to address why there was so much for Wall-E to clean up in the first place. Instead of just focusing on the shortage of child psychiatrists, why are we not doing more about the over-abundance of patients? After the session, I asked one of the speakers this very question. Her answer was sobering: she had thought about this issue herself, but when she tried to a submit a paper on the prevention of mental disorders in children, no child psychiatry journal would accept it. She thinks that is just not our mindset, just not what we are trained or paid to do. It reminded me of the old adage by Upton Sinclair, "It is difficult to get a man to understand something, when his salary depends on his not understanding it." Some would consider Matthias a textbook candidate for combined treatment. His rages have overwhelmed schools and child care programs for years, and he is already struggling in first grade. He and his mother — a medical technician whose typical workday drawing blood lasts from 7 in the morning until 4 p.m. — share a cramped and clamorous three-bedroom ranch house with her sister and brother-in-law and their spirited children, ages 3 and 6 months. Matthias is having nightmares and bladder-control issues. I'm not sure that any amount of meds or access to a child psychiatrist would help this child as much as having a less stressful home environment. I don't claim to know what the best solution for our society as a whole would be, but I do think we need to put more effort into investigating what can be done to better support children and families, and not just from a medical/health care system point of view. I hope that more of us in the child psychiatry field can be a bit more like Wall-E: a bit more curious about the world we find ourselves in and how it became that way, a bit more willing to ponder what can change things for the better. Let's not continue to just put our heads down in order to squeeze ever more efficiency and productivity out of our days. Psycritic v1.8.6. Powered by Blogger.